Is the Indian Media Abusing its Freedom? Ancient Indian sages have said that even Amrit (Divine nectar), the ultimate panacea for all ills, can become poisonous if consumed in excess. They were advocating moderation in everything and counselling against over-indulgence. The celebrated American writer and entrepreneur Mark Twain also said the same thing when he wrote, “Too much of anything is bad.” The same applies very aptly to the Indian mainstream media (MSM). There is no doubt that the MSM should be free and fearless. It is an important pillar of every democracy and has the responsibility to act as a public watchdog by keeping an eye on the proper functioning of the three arms of the government, namely the Legislature, the Executive and the Judiciary. In India, as indeed elsewhere in the world, the mainstream media has acted as a watchdog against the official excesses and institutional apathy of those wielding clout and power. Our newspapers and the electronic media have often forced the hands of the government as well as that of the political and judicial authorities to take positive action. There are too many instances to quote, and some of the most recent cases where the MSM has played a crucial role were the Nirbhaya case, the various scams during the Congress regime and the Sheena murder case. If it were not for our vigilant media, probably these cases might have ended up as mere numbers in some dusty government files. Because of the exemplary roles played by the newspapers and TV news channels, the printed word and the news broadcasts on the TV have had sanctity. There was a time when anything published in a newspaper or telecast on the TV were accepted as the ultimate truth. If anyone doubted what you were saying, you could counter it by saying that it is in the newspapers or was shown on the TV. Such was the authenticity of the mainstream media in India. In those good old days, journalism was seen as a very noble profession. People took up the pen or became a broadcast journalist mainly because of their inner calling. They fought against injustice and often battled to set things right even against powerful enemies. Those days, the pen was indeed mightier than the sword. However, lately, things have changed. Journalism has become a mere profession just like that of an accountant, bank clerk, and stock broker. Furthermore, commercialism and profit motive have become the watchwords of the media industry, and ratings and circulation have become its overriding concerns. For the sake of profits and personal gains, some media houses and journalists have made many compromises and given up its moral high ground. Phrases like “envelope journalism” and “paid news” entered the lexicon. Journalists could make or mar the career of people, particularly those in public life, read politicians and celebrities. This led to an unholy nexus between the corrupt politicians and dishonest media persons. Politicians started using crony journalists to discredit their opponents. Some power-drunk journalists thought they could do anything and get away with it because no politician or government would ever dare to rub them on the wrong side. These journalists were very aware of their rights but often forgot their duties, responsibilities, and work ethics. Blinded by power, many of them became insensitive to our nation’s security issues, and unwittingly, allowed themselves to be used by the enemies. Personal glory and TV ratings were their only objectives. And they were safe because freedom of speech and expression is guaranteed by our Indian Constitution. There have been several instances where some journalists have published or broadcast sensitive information. For example, then Navy Chief Admiral Sureesh Mehta had slammed sections of the electronic media for their reckless coverage of the 2008 Mumbai terror attacks by saying that the manner in which some TV channels reported India’s worst terror strike had tactical implications and might have worked to the advantage of the terrorists. 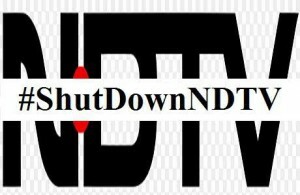 On November 3, the Ministry of Information and Broadcasting asked NDTV to take its Hindi channel off the air for a day on November 9 after an inter-ministerial committee found that the TV channel had violated broadcast rules while reporting on the Pak-inspired Pathankot terror attack on January 2 this year by revealing “strategically-sensitive” details of the air base while relaying news from the spot. Broadcasting rules in India prevent TV channels from beaming live feed of any anti-terror operations. However, this is not the first time a channel has been taken off the air for violating rules. So far, there have been 28 such cases against TV channels. Furthermore, the media is often accused of character assassination. In Kerala, for instance, an eminent scientist was hauled over the coals a few years ago by the media, accusing him of espionage. Finally, after years of media trial and harassment, the courts absolved him of all the charges. By then, his life and career had been totally ruined, and he had been made a social outcast. Currently, there is an on-going tussle between journalists and lawyers in Kerala. Journalists are debarred from entering several courts in the state after being accused of misreporting. True democrats will vouch for absolute freedom for the media, but at the same time, they will also insist that no freedom can be used irresponsibly. Hence, it is rightly said that the media which abuses its liberty or indulges in corrupt practices is one of the most dangerous threats to any democracy. This entry was posted in blog on November 8, 2016 by admin. While the entire Indian population is working in sync with Narendra Modi, some section is trying to influence sentiments against the government chosen by us. Of Course It Is !!!! NDTV and all its journalists are scumbags…GOI should just squeeze their sources of funding..
We need not.However powerful the media organisation may be,that is not the right forum to define about !!! Larger Public Interest.. These so called news channels, run by huge business houses are just behind money. To make money they increase their TRPs by having news rooms turned into reality shows. Whether it was the Mumbai attack or the other attacks, the live telecast of the whole exercise helped the terrorist handlers more than the army people. What ever may be the profession, if it is not done with responsibility and accountability, it will only bring shame instead of fame. The news channels are no exception to this rule. ;When profit is their motive, the holier than thou attitude of the media is highly compromised. ;It is time they acted bold, impartial, responsible and accountable to redeem their pride!! It is completely dejecting to see people of high calibre and cognitive capabilities choosing to turn blind and support a public authority meant for the public, of the public and by the public in a step that raises a direct question on its integrity and purposeful use of capacities. If the ban was so needed why did it roll back its step on the eve of the Supreme court hearing? Was the government so scared or too linient? If the government felt a need to ban this, it should’ve first defined what was inappropriate with NDTV’s reporting. What were the parameters that forced the government to take a bold step of banning the channel. Isn’t it “”incidental”” that this is the same channel not in the good books of most leaders in the ruling party. The debate has a long tail. Point of commenting here is not to put finger on someone and say you are wrong but to convey that people have a better case of choosing for themselves rather than being influenced on what is apt and inapt. Just like they will choose in 2019 for the government. I totally agree with Dr. Sunil Gupta and his views. But also it shall be noted that the kind media is playing the role is not as free speech but more like the Politesse views of the party. Rather uniting for the cause of the Nation and standing the views of the people does not exist and it is more like the views of show anchored is the views of people which is more chores of the some political party. The Government shall have taken the tough stand on it no matter what and which guilt or form thinks and could have not mellow down on the national issues and taken the course. There should be some more strict guideline for the Medias but billion dollar question is Who will tie the Bell to Cat? Even before the media and judiciary, it is the governance that is abusing its freedom the most. But are they ever held accountable? Why aren’t there any discussions on this if not? 1. How many times “”responsible”” ministers have been punished for creating bad law? Are those victimized by such laws ever compensated? Is it more difficult to do so than raising their salaries & perks? Why rapists and murderers are still allowed in the temples of democracy? Why this is not being discussed even before judicial accountability?;2. Why different scales (and laws) are being used for MSM and social media when both are media? Why many pounce on social media as if that is the cause of every wrong in the society while still using it at every opportune occasion? Why no debates on abuse of SM? 3. In the name of reaching out, politicians abusing social media for having visibility and winning elections can also be called a part of governance, apart from numerous inaugurations, meetings, cultural events and so on, in which they spend their “”valuable”” time? 4. Since when religion has become a part of governance in India while the constitution says that it is a secular state? Is it that those in governance can abuse their powers but they only blame other institutions without even looking at the mirror to see their ugly faces even once (sparing a few gentlemen who are genuinely trying to make a difference)? The first check against abuse in media must be in media, itself, for media to remain free; otherwise, the law and political forces would join the fray. I wish TVC news presenters spoke half as good English as the NDTV announcers. shut down with immediate effect. …. Yes they are and takes Un due advantage of freedom. this is right decision to ban. my opinion ban for lifetime bz ndtv always told lie and divided policymakers. No media is above national security! Not sure its just the media ! Anyways, media especially when sponsored or funded by foreign countries try to carry on their agenda and hence can not remain neutral on news reporting. Hence it is essential to have only those which are internally funded. Meaning we will fight our battles with in and we dont need a foreign sponsor or referee or lobbyist ! “Ban of NDTV should be SHUT DOWN Permanently. They made live broadcast while Mumbai CST attack to help out the terrorists and culprits. Supreme Court has been already condemned this live broadcast @ Mumbai Terror. 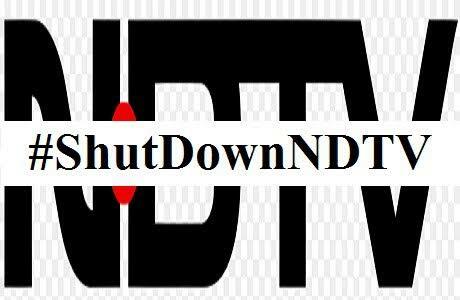 NDTV is not barking bhakt so it should be shutdown, what a joke…. But it will become a Anti-democratic and Anti-Human destructive instrument if it fell in the hands of Terrorists …. Rahul Gandhi forgot that his grandmother imposed emergency in 1970s and put most leaders and journalists behind the bars for opposing her prime ministership. I oppose the ban of NDTV. What is the reason to ban NDTV india ? yes it is but no worry enough people expressing outrage meanwhile the channel using back channels has reached a compromise so everything jogs along.where does that leave the anchor? “A very provocative title of the article.. Will surely get attention. One of the most transparent and credible organizations NDTV, should not be maligned like this. In the process NAMO seems preparing for WAR against bigger matter… and in the scheme of things every CHannel matters including what ever audience does NDTV caters..
Banning NDTV will set right expectations and boundaries for all other media houses.. freedom of speech cannot be abused and should be interest of the Nation. The way China succeeded in its economic policy stance should be the way for Indian prime minister. And if that way is of curbing excessive independence of certain bodies, it is not at all wrong. By looking at the website of NDTV it becomes clear that they are promoting anti-Modi elements. You can even see articles on and by Kanhaiya Kumar of JNU. This is something not acceptable and highy dangerous. Barkha Dutt was elevated to such heights after Kargil coverage that she forgot what media ethics and morals are. She is a pure capitalist, which she admits. When there is a provision under law that news channels should abide by certain rules then why cry foul if a channel is found breaking these rules? If they have committed wrong, they ought to be punished. I am with PM Modi on most of his policy actions but banning a news channel is something even I would condemn. You are open to debate them in public, why place bans on them? Till we have RSS backed BJP government ruling the country, such instances will recur on a daily basis. People should vote for the Third Front led by Malayam Singh, they are true socialists.